Soba is the traditional Japanese noodles made from buckwheat. The process of making soba is not only technical but also artistic and requires craftsmanship. It is Japanese culture by itself. Try the challenge in a Japanese ambience that overlooks the Okhotsk Sea and the Shiretoko mountains! It will surely be a lifetime memory! 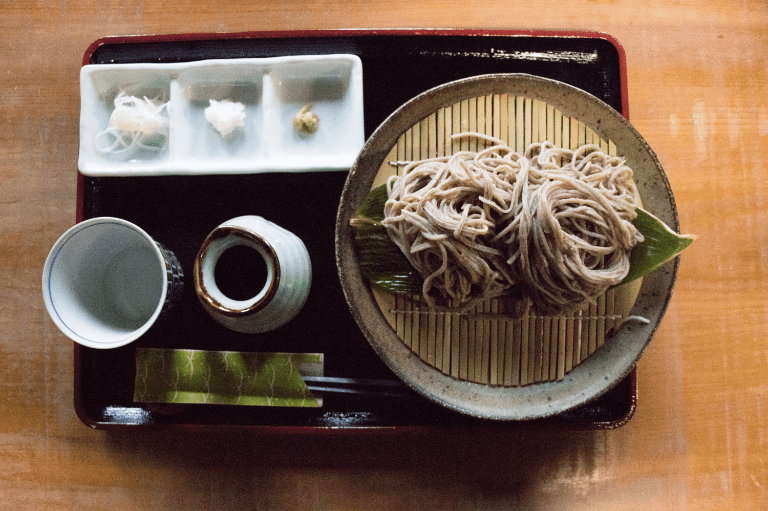 There are many places in Japan famous for their own styles of soba, but few people know that Hokkaido produces the largest amount of buckwheat in Japan. Buckwheat has a very short 3 months harvesting cycle and can grow in poor soil. This characteristic of buckwheat fitted into Hokkaido during the pioneer days where cultivating the untouched land required tremendous labor and days. 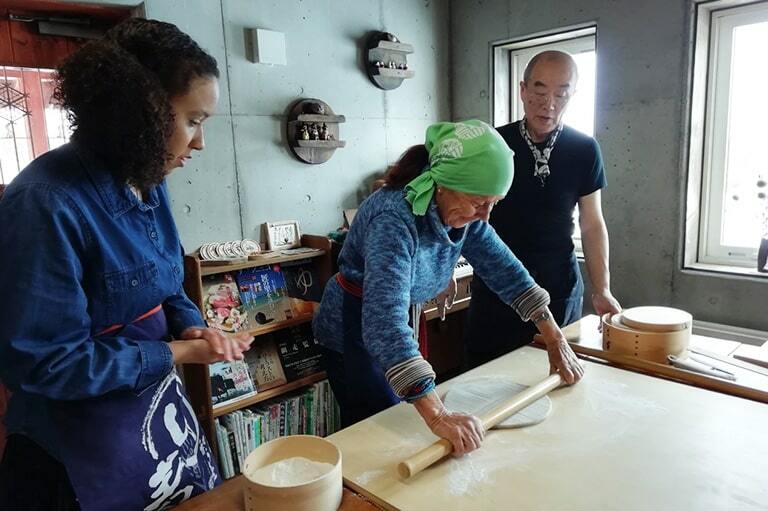 Our soba class will be held in a Japanese housing that overlooks a vast flower garden, the woods, the Okhotsk Sea and the Shiretoko mountain range. In winter the garden turns into a snow-covered plain. In other seasons, you may want to take a stroll after the soba experience. We’d like you to try the experience with some thoughts on Hokkaido’s interesting pioneering history. ¥500 for every non-participant who wants to try the soba meal only. 15 minutes ride on the bus or 5 minutes ride on taxi (approx Y1500) from downtown. Bus: Please take the bus that leaves JR Abashiri Station at 9:23 and get off at the Northern People’s Museum at 9:37. 5 minutes walk from the bus stop.